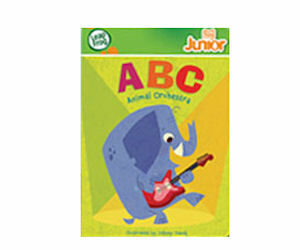 Click HERE to get your FREE copy of the ABC Animal Orchestra LeapFrog Book. We got this for our son and it was his favorite book for a while. Each animal has an instrument and its fun when you read through the book to make all the different instrument sounds and describe the different animals. This book creates a lot of great learning opportunities and its FREE! I'm following you from the Tuesday hop. Hi there! I'm following you from Follow Me Back Tuesday! I'd love a follow back! well. Have a great day! Hi! We're so happy to have found your blog via FMBT! Hope you have an awesome week. Hi! I'm a new follower from the Tuesday blog hop. Hope you'll check out my blog and follow back. Hi there! I'm a new blog follower via Google Friend Connect. I love your blog! Hope you'll check out my blog and follow back! Love this leapfrog freebie! We got my daughter a TAG for Christmas, so it's so cool to have a free book coming for it in the mail. Thanks for the tip! Hi! I'm following back. I would like to have one free book. Thanks!